This may be driven by the fact that my current running memory is taken up by freezing cold runs, but a pair of Dhb cycling gloves that I bought for around £20 have been better than any running gloves I’ve ever bought (and subsequently lost/left at a track session). The grippy material means that I can swipe through the screens of my Garmin without needing to remove them – a godsend at the moment. The first is cycling; it’s a real love/hate thing for me and I’m currently in a hate phase but when I’m cycling well I’m running well. I’m convinced it’s down to the increased quad strength it gives me – my legs definitely feel stronger and fitter for it, and running therefore feels easier. The second is – purely by chance – finding somebody slightly faster and fitter than me to run with during the week. It means I push myself that little bit further than I previously did. That encouragement to run the extra lap, or push the pace a little has seen gains in my speed endurance, which has always been an area I’ve struggled with. That I’m not a quitter, and I don’t want to be that person. I know how I’ll feel if I quit, and that’s usually strong enough motivation to make me keep going. In terms of practical things, I count steps and I try to trick myself – ‘just run 500m further and then you can stop’. A tip I read somewhere which really helps is to focus on a part of your body that doesn’t hurt – that can be your fingers, eyelids – anything! It helps to zone out from the pain. 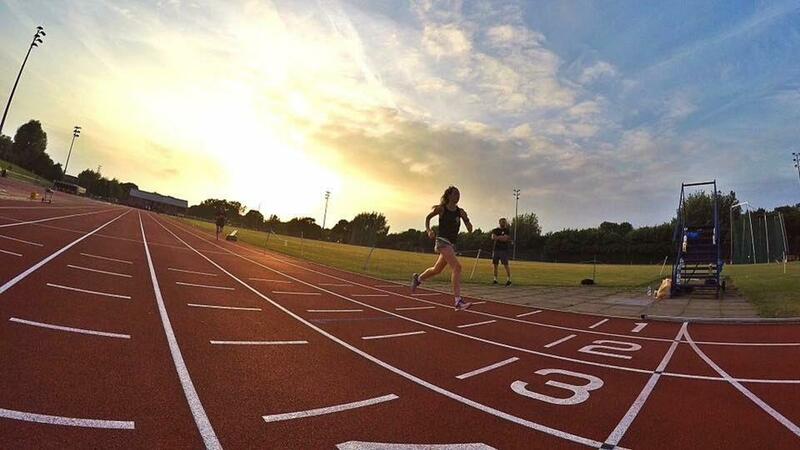 My legs certainly do an unusual thing when I run… I’ve got what has been described as a ‘distinctive running style’. I’ve even been recognised purely because of ‘those legs’ (and not in a good way!). 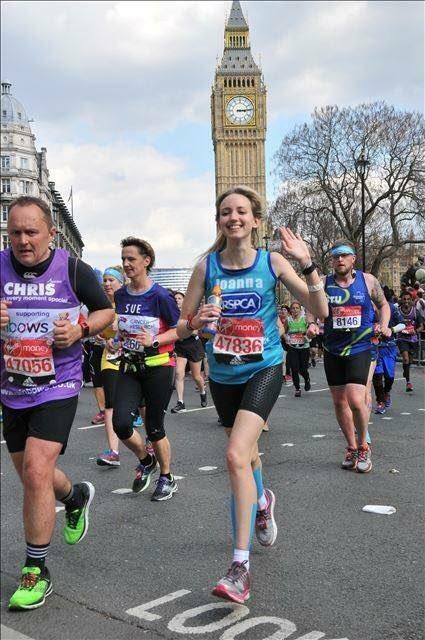 ​I hesitate to call it a failure, but my London Marathon experience (my first and so far only marathon) certainly did not go to plan. I very publicly – in a national magazine no less – set out my aim of running sub-4. In the end, a myriad of issues meant that I came in at 5.02. I was gutted. Truly. Since then I’ve learned to be kinder to myself in terms of goals (I’m still setting my hopes high, but not pinning my worth on them), and to be more thorough about testing race nutrition. I go again in Loch Ness this year, so fingers crossed. 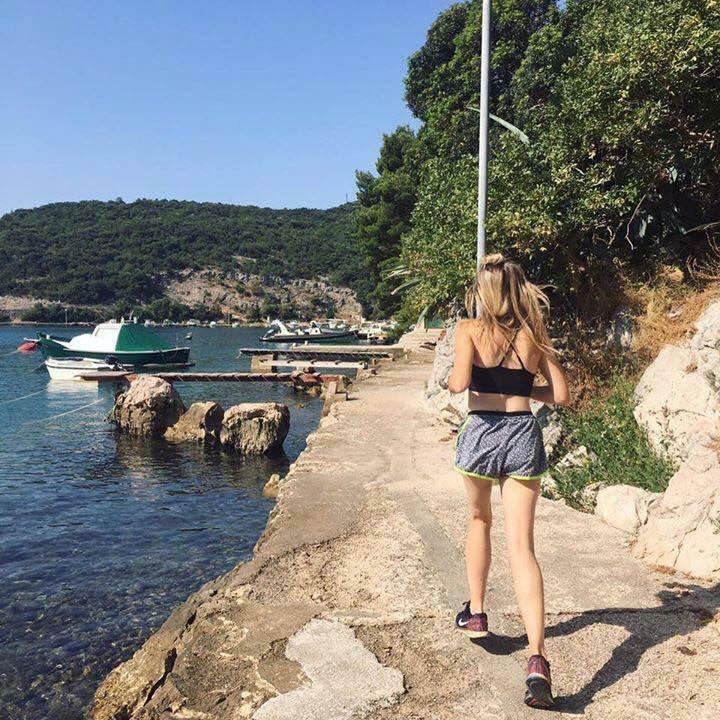 To read more about Joanna’s training as she gears up for the Loch Ness Marathon, you can follow her blog, or find her on Twitter or Instagram.